Mailbutler is great for people who want to practice "zero inbox," because you can "snooze" emails for later response or action. The task feature is also very useful, as it allows me to make note of what action needs to be taken in regards to each email. In general, it helps me be far more efficient in my email communication. I really have no suggestions for improvement. Mailbutler does exactly what I need it to do. 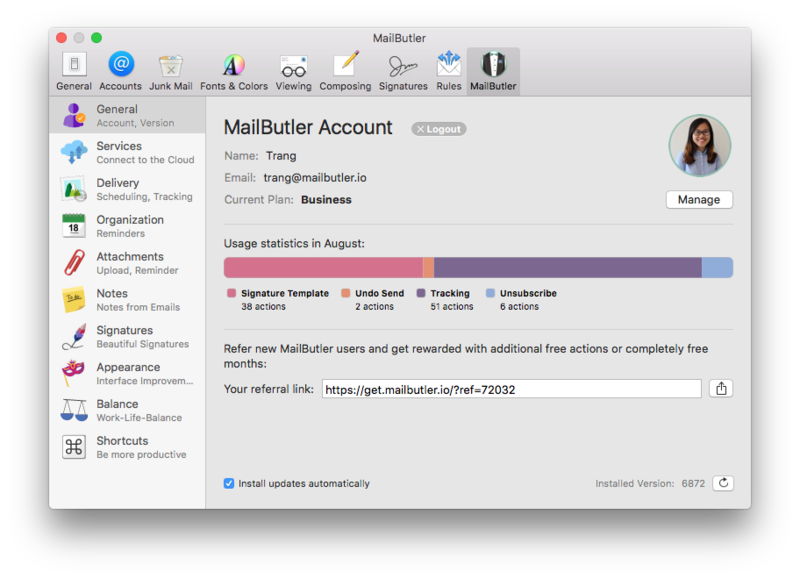 Mailbutler's effect for me personally is unquantifiable - but it really helps me stay on top of the myriad emails that pass through my inbox each day. I would imagine that across a larger organization, Mailbutler's impact on overall productivity has the potential to be immense!